We offer tree forensics and expert services for tree related disputes. As Consulting Arborists, we evaluate and develop an impartial and independent expert opinion through rigorous evaluation and analysis. This methodology and further conclusions are presented orally in cases of litigation and testimony, or through the process of comprehensive report writing. We assist our clients through all phases of a dispute, from before legal filing through discovery and trail. 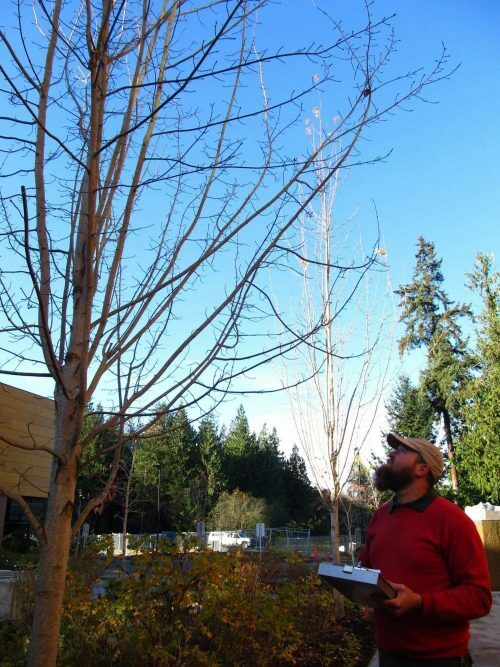 Peninsula Urban Forestry provides the unique demands of litigation by providing comprehensive analysis while addressing key issues with clear and concise testimony in deposition and trial. Trees are living organisms; they germinate, grow, mature, decline and eventually die. With forensic examination we can reverse engineer decay and wood stresses to assess and understand patterns prior to tree failure. ​We specialize in conducting detailed investigation and providing independent, impartial analysis. Expert testimony is required when specific or technical information and expertise is necessary in decision making. We provide such expert testimony and expert consulting in decisions regarding tree biology, tree safety in urban areas and tree appraisals. We provide Expert Witness & Technical Consultant services to plaintiffs or defendants in cases involving tree failure and negligence, personal or property injury, tree theft, construction defect, trespass, other tree loss and tree nuisance cases.